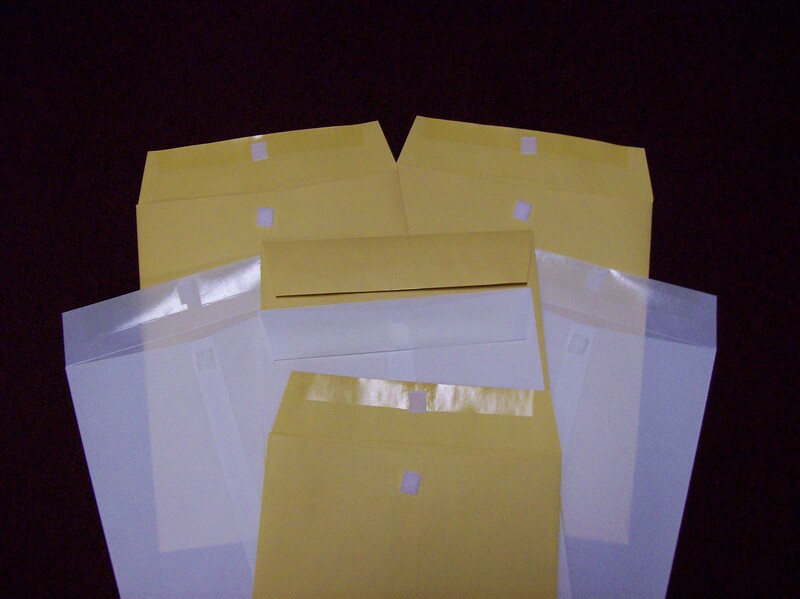 Remove tape to expose adhesive and seal, no moisten easy secure sealing. 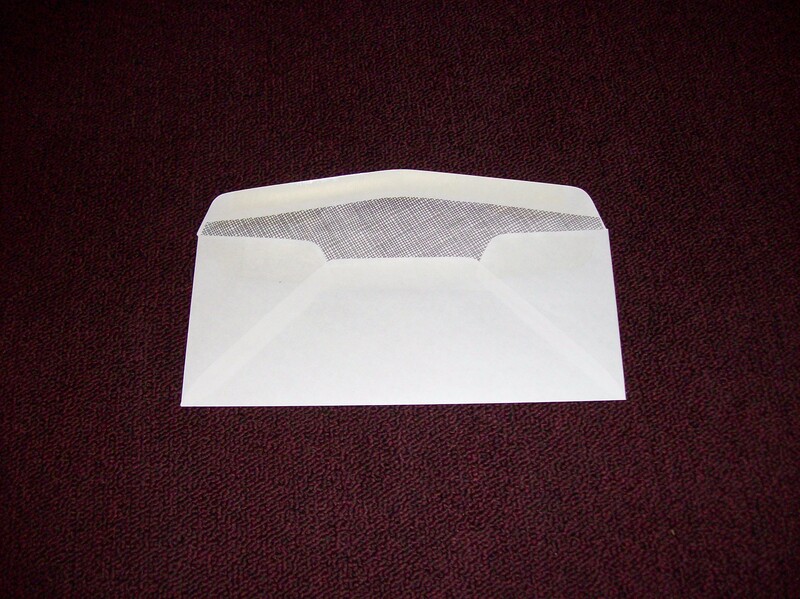 multi use metal closure with reinforced hole for inter-office or cash/coin envelopes. 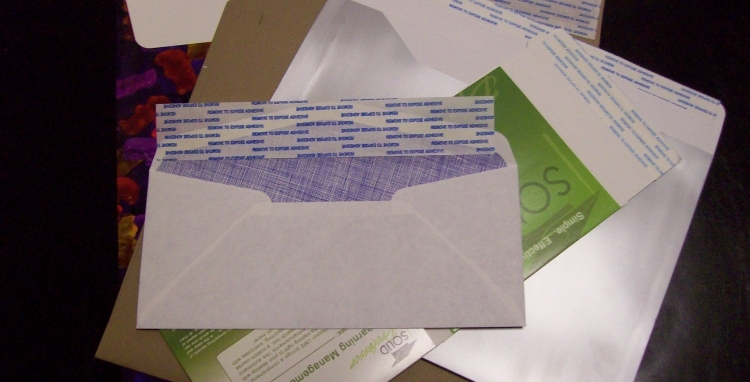 Multi-use flap closure utilizing a 5/8” white square velcro. 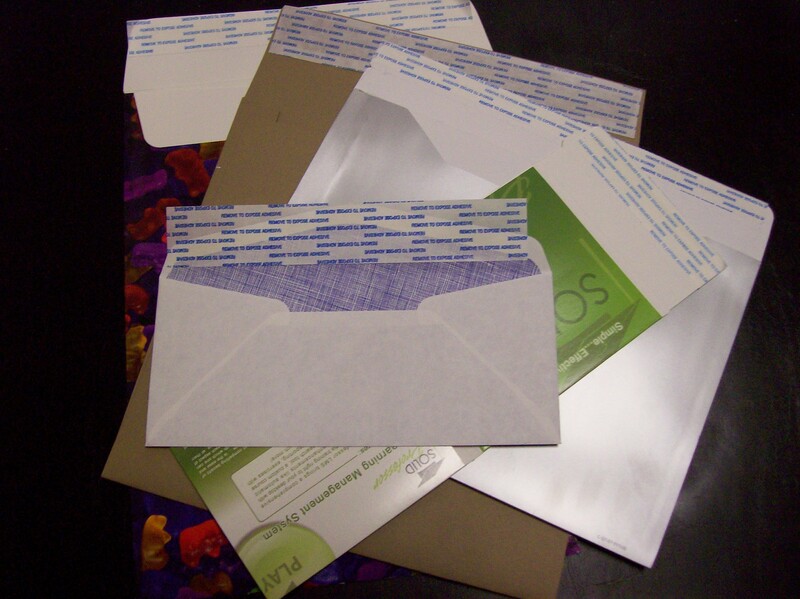 Simply fold flap to seal, adhesive will adhere only to itself, no moisten no tape no mess. 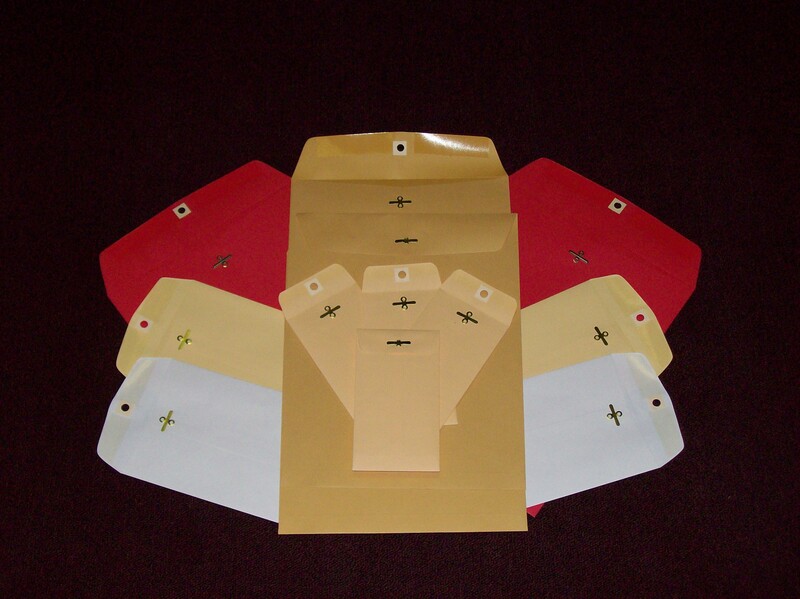 Rigid durable multi-use closure for Inter-office or cash/coin envelopes, presentation folders.